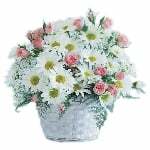 When you need to send flowers overseas, you need to have a partner that not only guarantees the types of flowers or styles of the bouquets available, but also that they are freshly cut, stunning, and arrive in pristine condition. 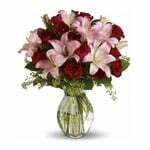 We know that wilted flowers are never acceptable and that’s why our customers use us for all their international flower delivery needs. 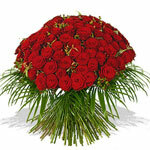 From romantic red roses for a valentine when you're traveling for work and your partner is home, to a breathtaking bouquet to celebrate a new baby for a business partner overseas, or even a stoic memorial wreath for the unfortunate funeral, we assure you the arrangement will be delivered on time and will always make the right statement. 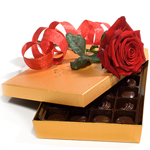 Start by selecting a style below to see if it is available in any of the 200+ countries we can deliver to, or choose the destination in the country drop-down menu. 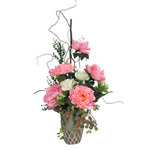 Next, sort through the array of options to find one that fits your budget or that can arrive quickly if you need next-day or two-day shipping. 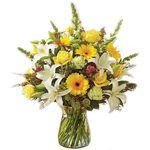 We stand by our 100% customer satisfaction promise so you can sit back, relax and know that the bouquet will arrive on time and in pristine perfection? 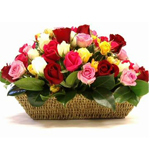 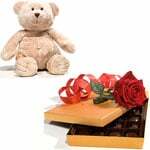 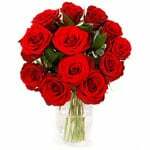 If you want a partner that guarantees delivery times and fresh bouquets when you send flowers overseas, let us show you why thousands of others trust GiftBasketsOverseas.com with all of their international gift giving needs.